in the past two years I have gradually become familiar with and fascinated by a vast array of Chinese tea. I take this as the most fortunate and welcomed introduction to the Chinese culture, albeit through a small (steamy) window. As an Iranian, I grew up knowing and loving our national beverage, tea, which could be translated into loose black tea leaves, always prepared and drunk in the same fashion by steeping and simmering, then sipped from small delicate glasses that allow one to see its translucent mahogany color while relishing its flavor. In Iran, tea is the first thing you serve to your visitor – or drink on your own for that matter – at any time of the day or night, at happy or sad, formal or informal occasions, always the same black tea, always processed in the same way, though. I think it is safe to say that the Iranian tea culture while being extremely popular is quite simple plain down to earth. The Chinese tea culture, on the other hand seems anything but simple! In China, where tea was originally developed almost 4000 years ago, tea is considered one of the seven necessities of life, along with firewood, rice, oil, salt, soy sauce and vinegar. Tea is deeply ingrained into the daily habits of the people. As for its origin, the tea plant (Camellia sinensis) comes from Yunnan and its inventor was Shennong (神農), a Chinese ruler who lived 5,000 years ago and is considered to be China’s father of agriculture. According to legend, Shennong sampled various herbs to test if they were helpful or harmful to humans. One day, he ate poisonous herbs and collapsed under a Chinese tea tree. He was revived after water droplets from the tree trickled down to his mouth. His near-death experience led to tea’s use for medicinal purposes. 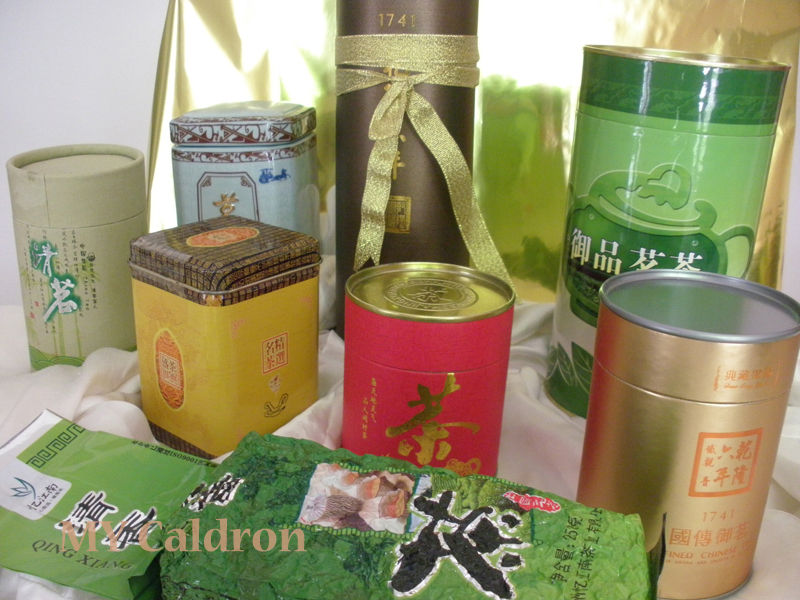 It is said that most verities of Chinese teas are consumed in China, with green tea being the most popular type, and are not exported, except to Chinese-speaking communities in other countries. So, in that sense I am indeed the lucky receiver of the selected original tea gifts! Speaking of gift, I find the packaging and presentation of Chinese tea so adorably varied: Elegant tea containers of bright colors in all imaginable size and dimensions made in paper, cardboard, wood and metal, often with soft cushions of satin or touch of ribbons on the inside or outside of the packaging – depending of course on how fancy/ expensive the tea might be. 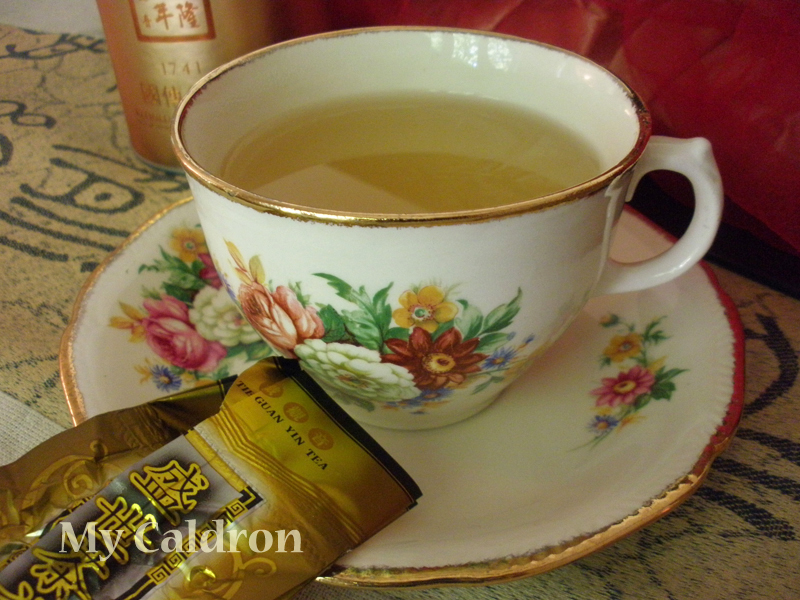 Chinese tea could be quite a luxury item, in my experience, or a sensual delight. I remember the first time I saw the beautiful display of “Chinese flowering tea” – that is the expanding and unfurling of the bundle of dried tea leaves wrapped around dried jasmine and hibiscus within a few minutes while being steeped I was absolutely stunned. Here is my short video clip of the process. The taste is as amazing as the look by the way! Back to the varieties of the Chinese tea, below I have categorized main features of four types teas popular in China, using “The Teas Pot” as my source. There is much to be sipped, smelled, felt and learned, so I recommend the source for a fuller description of each category and type, including the process, preparation and origin. GREEN TEA LEAVES PLUCKED IN THE MORNING ARE READY TO BE BREWED IN A POT THE SAME NIGHT. THE BYPASS OF OXIDATION ALLOWS GREEN TEA TO RETAIN MOST OF ITS NATURAL DARK GREEN COLOR, TANNINS, VITAMIN C, CHLOROPHYLL AND MINERALS. 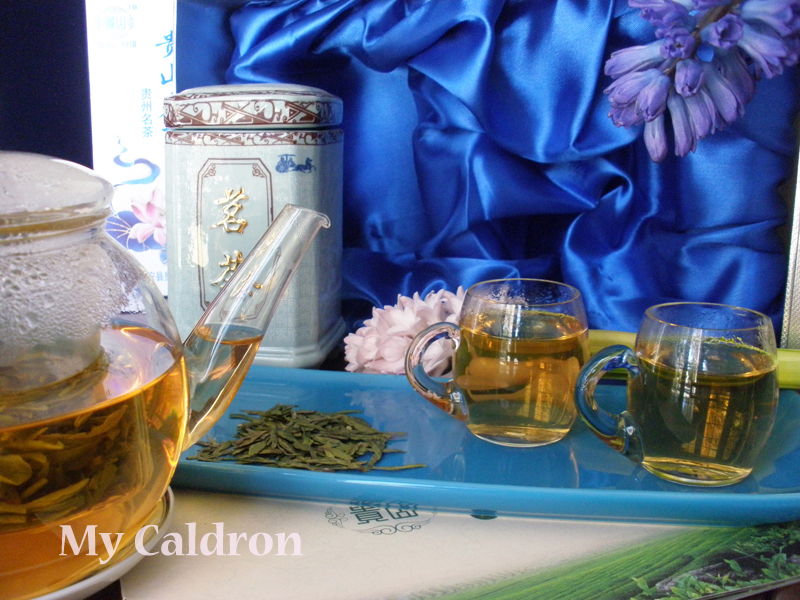 THE TASTE OF GREEN TEA IS THEREFORE MORE ASTRINGENT AND SUBTLER THAN OOLONG OR BLACK TEA. WHITE TEAS ARE THE LEAST PROCESSED OF ALL TEAS. THEY RELEASE THE LEAST AMOUNT OF CAFFEINE OF ALL TEAS, GENERALLY RANGING FROM 10-15 MILLIGRAMS PER 8 OZ CUP. WHITE TEAS ARE MOSTLY GROWN IN FUJIAN PROVINCE, CHINA. BLACK TEAS ARE FULLY OXIDIZED TEAS. BLACK TEAS BREW A LIQUOR FROM DARK BROWN TO REDDISH BROWN. THEY ARE THE MOST POPULAR TYPE OF TEA IN THE WESTERN WORLD. BLACK TEAS RANGE FROM 40 – 60 MILLIGRAMS OF CAFFEINE PER 8 OZ CUP.